Portrait Salon was founded by Carole Evans and James O Jenkins in 2011 as a response to the Taylor Wessing Photographic Portrait Prize. A form of Salon des Refusés – an exhibition of works rejected from a juried art show – it aims to showcase the best of the rejected images from the Taylor Wessing Prize, which is organised annually by the National Portrait Gallery in London. The Taylor Wessing Portrait Prize is one of the most prestigious photography prizes in the world, attracting entrants from professionals and amateurs alike. Last year 4,193 images were submitted by 1,793 photographers, with 60 chosen to be in the exhibition at the National Portrait Gallery. We seek to show the best of the rest. 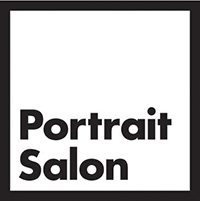 The Parkside Gallery will be the last stop on a nationwide tour of Portrait Salon. Commuter Concert: Royal Birmingham Conservatoire Baroque Orchestra: Concerto! Pascal Pascaleff: A Fantasia or a Sonata?